The Winky Series Columbine, were developed in Holland for their compact and uniform habit. Growing only 10-12" tall with their two toned pink/white, blue/white, mauve/white and purple/white blooms these are a welcome addition to the spring garden. 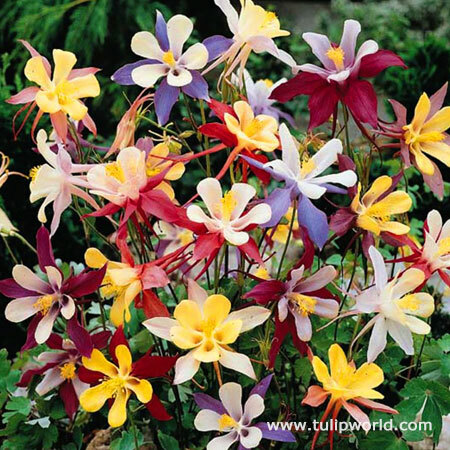 Columbine also known by their scientific name as Aquilegia, prefer a partially shaded location, or a location that receives filtered sunlight, in moist but well draining soil.